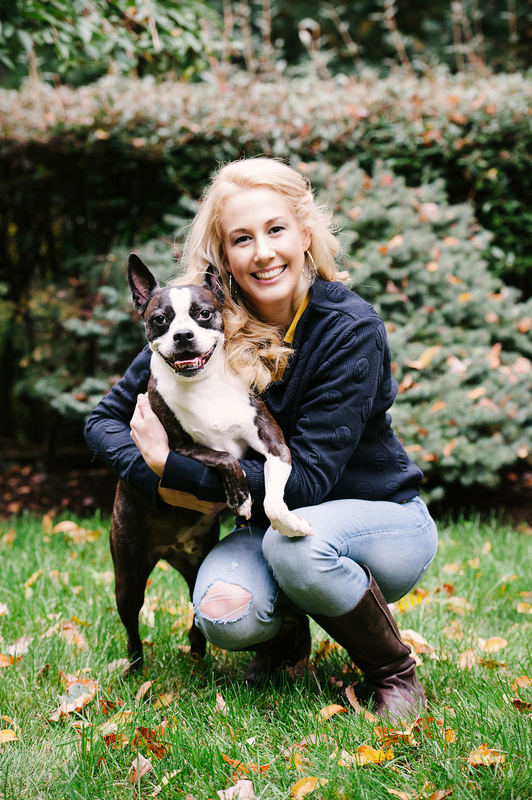 Last fall I met Kimberly and her tall and handsome Boston Terrier, Domino, for their pet portrait session. Since Kimberly's friend Cait's birthday was coming up, Kimberly gifted part of the session to her and her sweet pup Olaf, and we met at their beautiful backyard for a fun afternoon. Domino picked Kimberly after their first meet and greet. They had so much fun playing that when it was time for Kimberly to leave, Domino followed her to the car and the rest is history. At first Kimberly couldn't decide what to name him, but Domino from Domino's Pizza crossed her mind. When Van Morrison's song Domino then came on the radio, it was was a sign. Here are a few of my favorites from their session.